Robert Thomas Aspromonte was born to a Italian American family, on June 19, 1938 in Brooklyn, New York. He would go to Lafayette High School, the same school that produced Sandy Koufax, John Franco, Pete Falcone & his older brother Ken who also played in the major leagues. 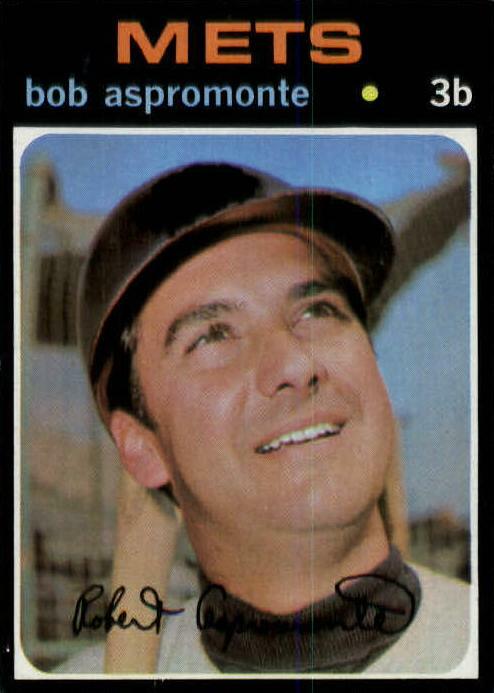 The versatile Bob Aspromonte would play all infield and outfield positions at some point in his career. He was signed by his hometown Brooklyn Dodgers in 1956 as an amateur free agent. He played in only one game there in 1956 due to league rules for bonus babies. He played un he minor leagues for foir seasons batting .329 at AAA St. Paul in 1960. He was called up to the Dodgers now relocated in Los Angeles batting .180 in 55 at bats. In 1961 he was selected by the Houston Colt 45s in the 1961 expansion draft becoming their regular third baseman for the next seven seasons. He would play in at least 125 games every year batting .280 or better twice. In his first full season (1962) he hit 11 HRs with 18 doubles & 59 RBIs. At third base he posted a .967 fielding % (second in the NL) playing in 142 games (third in the NL) making 150 put outs (third in the NL). In 1964 he led all NL third baseman in fielding (.973 %) while batting .280 with career highs in HRs (12) & RBIs (69). Defensively, Aspromonte was a fine third baseman coming in the top five in put outs & assists from 1962 through 1966. He had another good season in Houston in 1967, batting .294, hitting 24 doubles with 6 HRs, 5 triples & 58 RBIs. The following year he began to play more games in the outfield. In an amazing true story; Bob Aspromonte became a hero to a young Arkansas child that had been blinded after being struck by lightning. Aspromonte visited the child while he was at a Houston hospital, promising to hit him a HR. Sure enough Bob went out and did hit a HR for the boy, a grand slam none the less. He came back to visit the boy again, inviting him & his family to game at the Astrodome. Sure enough Bob hit another grand slam HR, with the boy in attendance after he had gained his eye sight back. Aspromonte only hit 60 lifetime HRs in 4369 at bats over a span of 1324 games. 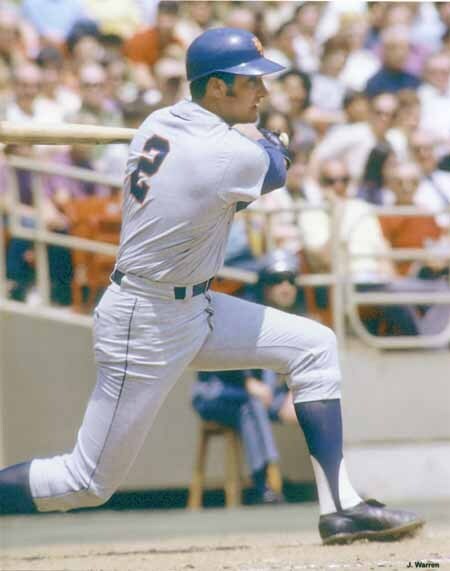 In 1969 he was traded to the Atlanta Braves, hitting .253 in a utility role behind third baseman Clete Boyer & outfielders Hank Aaron, Rico Carty & Felipe Alou. In the 1969 NLCS against the Mets, he appeared in three games going 0-3 against Met pitching. In December 1970 he was traded to the New York Mets for pitcher Ron Herbel who went 2-2, with a 1.38 ERA for the 1970 Mets. 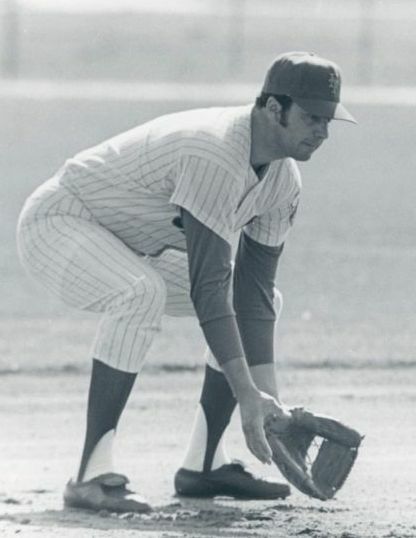 Aspromonte was yet another player, the Mets organization was hoping would become the teams long term third baseman. 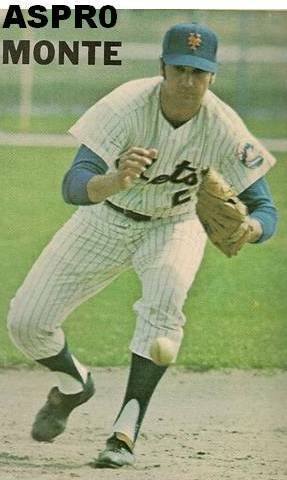 In 1971 Aspro would be the Mets answer for most of that season, taking the majority of playing time away from Wayne Garrett. Aspro debuted on Opening Day at Shea Stadium getting a base hit with an RBI in the Mets 4-2 win over the Montreal Expos. Two days later he drove in another run and had six RBIs at the end of April. On May 2nd he first singled and drove in a run putting the Mets ahead at the Astrodome in Houston. Then in the top of the 10th inning he hit a triple off George Culver breaking the 5-5 tie leading the Mets to a 6-5 win. Two days later at Shea Stadium he hit a HR off Chicago's Milt Papas helping Nolan Ryan to a 2-1 Mets win. From there Aspromonte had a rare power surge, hitting five HRs over the next two weeks. 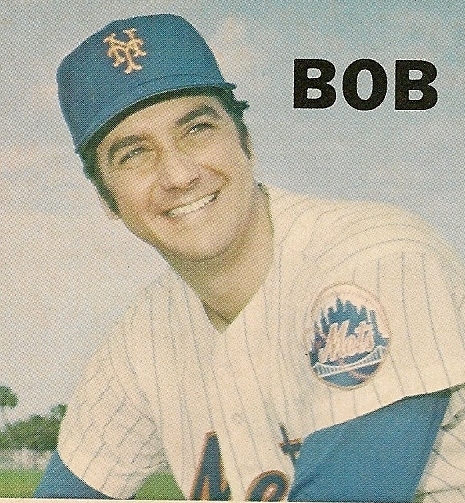 On May 14th he hit a three run shot off the Pirates Bob Moose in Pittsburgh in an 8-2 Mets win. On May 18th although the Mets lost to the Braves 8-6 in Atlanta, Aspro hit two HRs in the game both solo shots. He closed out the month with two more games where he had multiple RBIs. On May 25th he singled off Philadelphia's Jim Bunning in the bottom of the 9th inning scoring Don Clendenon with the games winning run. On June 1st he was batting .270 but struggled from there, only driving in three runs the whole month as his average fell to .232. During a batting slump that season he said "I heard of guys going 0-15 but I was 0 for July". He sawe less playing time as the year went on. His last big moment came on September 23rd at Wrigley Field in Chicago. In the 8th inning he singled with the bases loaded scoring Cleon Jones & Mike Jorgensen with what would be the winning runs breaking a 3-3 tie. In 104 games he batted .225 with 5 HRs 9 doubles a .285 on base % & 33 RBIs. 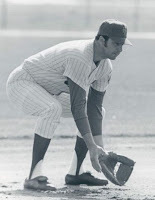 Defensively he led all NL third baseman in fielding percentage in 1971 (.965%) making eight errors in 229 chances, while turning ten double plays in 97 games at the position. 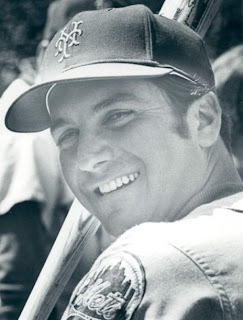 Aspromonte was released at the end of the season when the Mets acquired Jim Fregosi, in the disastrous Nolan Ryan trade. Aspromonte chose to retire at the young age of 33, finishing a 12 year career with a .252 career average, 1103 hits 60 HRs 135 doubles a .308 on base % & 457 RBIs in 1324 games played. At third base he posted a .960 fielding % (61st best all time) with 1025 put outs (85th all time) turning 120 double plays in 1094 games at the hot corner (85th most all time). At the time of his retirement, he was the last active Brooklyn Dodger player still active. His older brother Ken Aspromonte would play for six teams over a seven year career in the late fifties/early sixties. He posted a .969 fielding percentage as a middle infielder batting .249, lifetime with 349 hits 19 HRs 69 doubles & 124 RBIs. He then managed the Cleveland Indians for the 1972-1973 seasons. Retirement: Bob Lost vision in one of his eyes, during a freak accident while he was helping a friend jump start his car. He has operated a Coors Beer distributorship for years in Houston, Texas & still resides in the area. In 2006 he was voted on to the Texas baseball Hall of Fame committee.